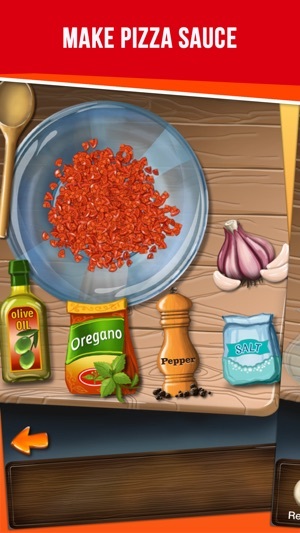 Fun pizza maker game for pizza lovers. 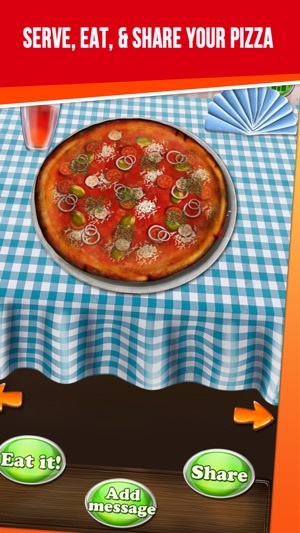 With this pizza maker app, you can let your inner pizza hero go wild creating real looking pizza. 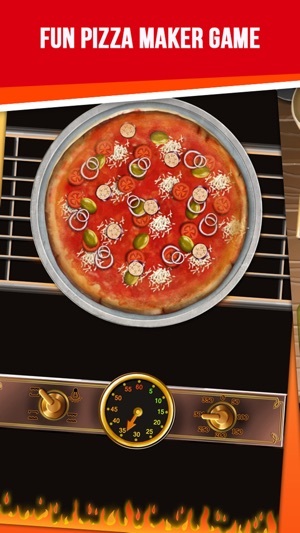 The best part is after you make your pizza, you can eat it too! 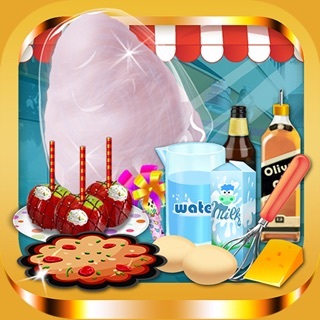 Please update My Pizza Shop for the latest fixes and game improvements! 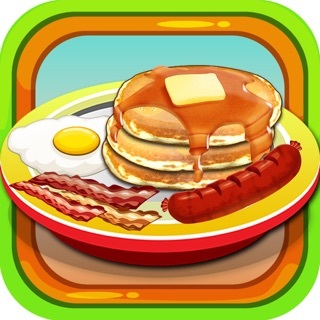 This app is good, but the only problem is that you have to buy the toppings and decor with REAL money, not game money. 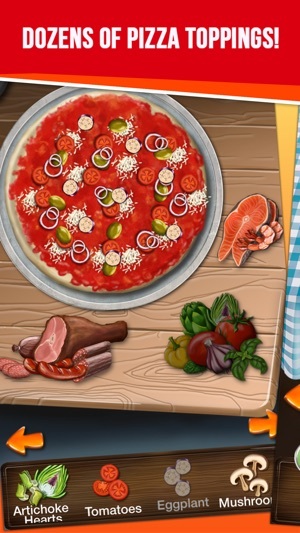 In My Pizza Shop 2, you can buy it with game money. 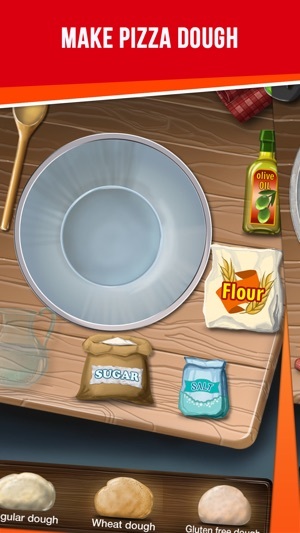 Their is no pizza challenge mode, where you can make pizzas for people. I like the second game better, but this is still a good game. My kid likes the gameplay, but there are too many ads, some that can be easily tapped in error. 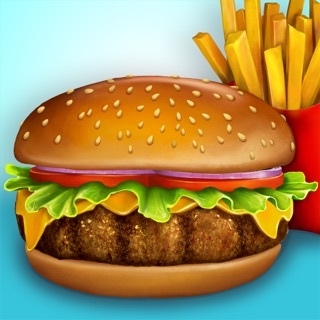 The game is geared toward young children who likely can't deal with scam ad navigation, so parents constantly will need to intervene. Very annoying if your child is playing in the back seat. I'd gladly pay $1-2 for no ads, but I think we'll just uninstall since that's not an option. Thank you for your feedback. We will reduce the ad requests and there is already an option to remove all ads as a paid option. I’ve played this game before a long time ago. And now I want to play it again but the downloading is Taking so LONG!! I try to be patient but I can’t. So I basically give this app three stars. 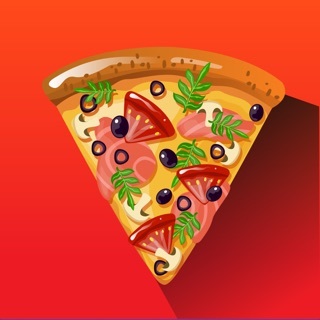 Is it taking long because there’s a pizza wait! NO so stop taking frickin long!!! !